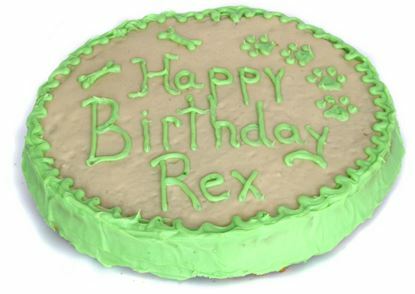 Is your dog's birthday coming up? 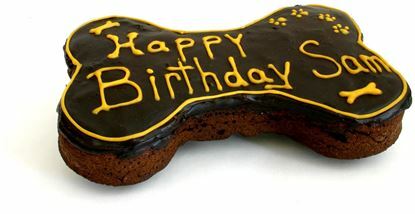 Why not celebrate it with Healthy Hound Bakery cakes and treats! 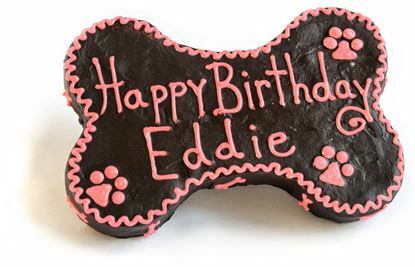 We have birthday cakes for every dog's taste. 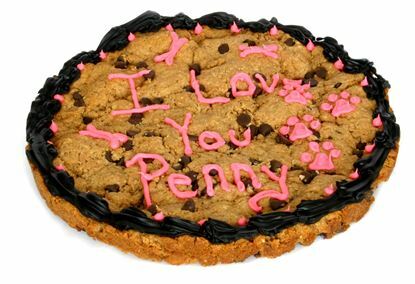 Free personalization with every cake purchase. 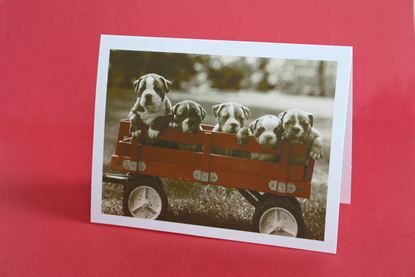 Add a personalized, hand written card to your order. 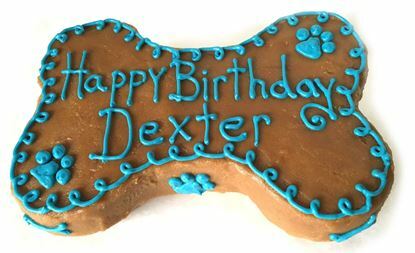 9 cookie cake to share with friends for that dog birthday or any special day. Made with all natural peanut butter, whole wheat flour, honey, and carob chips. Decorated with carob frosting. 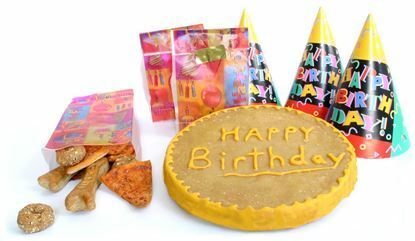 A complete birthday party in a box! 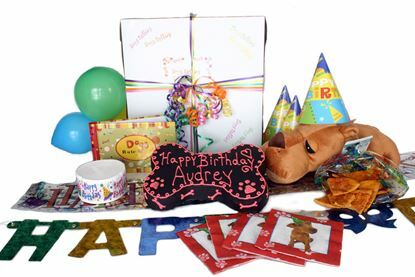 Everything you need to give your dog a great birthday party. 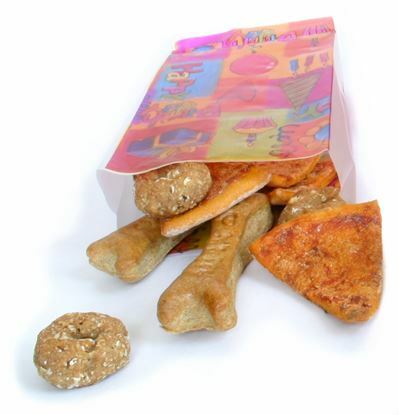 Party favor Bags are a great gift to add to any order. 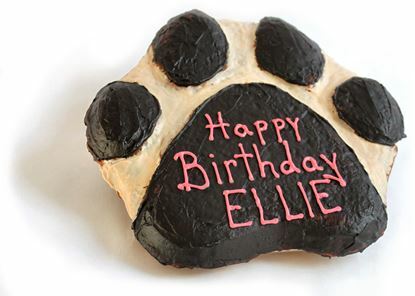 Marriage of peanut butter and pumpkin flavors in this cute 10 inch paw print cake.